Music has been used as a means of creative therapy for centuries. Whether people intended for it to be therapeutic or not, music has shaped our culture, mood, and overall worldview. While music is enjoyable to listen and groove to, it definitely touches the soul. In fact, many people have experienced total mood shifts from listening to their favorite songs. When music is used for therapeutic purposes, good things happen. Let’s consider a few ways music can uplift us and how you can incorporate music into your wellness routine. Music therapy, when used in a clinical setting, is used to help patients reach their individual goals. By addressing physical, psychological, or cognitive challenges through music, the patient is able to clearly identify their behavior. If you’re looking for a qualified music therapist, it’s best to look for someone who is Board Certified in Music Therapy. Since they’re qualified in this sector specifically, this makes them an ideal choice as opposed to a traditional therapist. Now that we know a bit about what music therapy is, let’s consider why music as a means of therapy is effective and unique. When you’re feeling uneasy or lacking confidence, throwing on your favorite playlist can make you feel like a total rockstar. There’s something about the way instruments and melodies intertwine together to connect with our senses. It’s chilling. Whether it’s a powerful voice or an unstoppable drum solo, music has a way of making us feel otherworldly. That’s why so many athletes power-up with their favorite jams right before a big game. According to Professor Suzanne Hanser, EdD, MT-BC, Berklee College of Music, this model of therapy is based on cognitive behavioral model of therapy (CBT) that’s basis is reconditioning the patient to replace dysfunctional feelings, thoughts and behaviors. In regards to music therapy, music is to create conditioned responses to elicit relaxation and overcome tension and worry. In the beginning, patients listen to music along with another deep relaxation practice, but over time they become conditioned so that music alone cues the response. The end goal of the music therapy protocol for pain is to divert attention away from either anxiety or pain and acts as not only a distraction but also provides comfort. It also helps improve mood, relaxes the sufferer and promotes positive thoughts. When you’re going through a rough time, you may feel like nobody around you understands what you’re going through. It can be extremely lonely. However, when you hear a certain song, those lyrics just make you feel inclusive. They resonate with you; in the best way possible. This creates a connection between you and the artist. You no longer feel alone. Music also connects individuals to each other. Many of us have made lifetime friends at concerts simply because you all feel the same way about a popular band. Music has a way of connecting people to each other when they need it the most. Companionship is one of the highest forms of support and happiness. When you’re nervous about a big test or a major life event, popping on some relaxing melodies instantly calms you down. It gives your mind something soothing to focus on instead of the problem you’re facing. That’s why many infants listen to lullabies as they go to sleep. They’re likely overwhelmed by this big, unfamiliar world. Listening to something soothing gives them comfort in a world of chaos. You can make music a part of your wellness routine by simply listening to it. Create different playlists that resonate with your different moods. Create a love playlist, one for the gym, and one of those not-so-happy times. This will give you the support you need without having to rely on others. You’ll begin to feel less alone and more in tune with your positive emotions. Music is a wonderful form of therapy that can be incorporated virtually everywhere. With the advancement of technology, you can listen to music as you’re walking down the street, studying, or working. Try different genres so you can expand your horizon. This will give you a greater insight into the wonderful therapeutic benefits of music. As people learn new information about side effects caused by medicines created by the pharmaceutical industry, many are moved to investigate alternative methods of dealing with chronic pain and other physical forms of suffering. One method that is quickly growing in popularity is acupuncture, which is an ancient method of interacting with the body’s organs and systems, but can acupuncture help with pain? The following article will be exploring how acupuncture helps with chronic pain. When you go to visit a professional acupuncturist, they will may use between 8 and 16 very thin needles placed at very specific points in the surface of the skin. Several points correspond to areas that may have some sort of disturbance or blockage which may prevent normal function of the various systems of the body. When your acupuncturist needles these areas, they intend to move or disrupt the blockage that is preventing your body from functioning properly. When the acupuncture needles are inserted in your skin at those specific acupoints, your body will release endorphins that can help to lessen or reduce chronic pain body. The professional acupuncturist will then allow you to rest for 20 to 30 minutes. After you have completed resting, the professional acupuncturist will remove the needles, and then your session is complete. Rounds of acupuncture treatments generally last around 3 months, depending on the practitioner and their specific methods of treatment. Some methods of acupuncture treatment include agitating, spinning, electrifying the needles. These are generally done to increase the intensity and effectiveness of the acupuncture treatment and bring greater satisfaction to the client. In some cases, the practitioner may include a method called moxibustion, which is the burning of specific therapeutic herbs near the surface of the flesh. Before a lot of people try acupuncture many of them asked if the procedure is painful. the answer however is no. This is because professional acupuncturist uses extremely thin needles better much better than typical syringe needles which are made to pierce the skin by making a tiny cut as it enters. the result is that a person being treated with acupuncture will experience very little sensation at all, in fact some people become so relaxed by the procedure and the atmosphere that they actually will fall asleep. Stress can manifest itself in a lot of unpleasant ways. When you are stressed out, it can trigger unpleasant effects in your muscles that cause painful knots, and stress hormones that can cause weight gain and other health issues. If there was a way to reduce stress to the system quickly and effectively, would you try it? Pressure points are a fast way to do this, and it only takes a small amount of study to learn. This article will get you started by teaching you the 5 pressure points you should know about. This pressure point is great for stress relief, and also for a few different areas of the head, neck, upper back and face. To perform Jian Jing pressure stimulation, you squeeze or pinch the muscle of the shoulder in between your thumb and middle finger. To perform it properly it must be done in 4 – 5 second intervals. Feng Chi is a technique that has been associated with migraine relief, fatigue, certain types of blurry vision, neck pain, and stress. Some have even used this technique to aid with cold and flu symptoms. To perform Feng Chi, lock your hands behind your head with your thumbs pointed downward. Place both of your thumbs onto the base of your neck muscles and run your thumbs upward to the bone behind your ears. You should be able to simply follow the groove that is created by the muscle. Anxiety, menstrual cramps, limb pain, and other general upsets. To perform this pressure point, use your thumb or a strong finger to place pressure in between the tendons that extend to your big toe and the second largest toe. Hold pressure for 4 – 5 seconds. This is one of the best pressure points for stress and facial pain. If you wish to locate this area, you will find it on the side of your hand in between your thumb and index finger. Press into the muscle and massage for 4 – 5 seconds. Eastern medicine has long believed that various areas of the body are connected. This particular spot is thought to help with important organs like intestines, stomach, and liver. It is found on the outside of your lower leg, next to the top of your shin. Press and hold this spot for 5 – 6 seconds. For a lot of people, the world of massage is seen simply as a luxury, or a lavish treat for their senses. While this could be seen as true, many people also know that it is quite a bit more than that. Massage offers a wide range of positive effects that can stimulate not only the body but also the mind. This article will be sharing just a few of the most important benefits of massage. Massage is an excellent way to contribute to your health by improving circulation. This is especially true of the lymph system which is located near the surface of the skin. Massage helps manipulate the lymph, making it easier to carry poisons to node to be removed. These helps you to cleanse your entire system of toxins and dead cells that can build up and cause a multitude of ailments that can appear to be difficult to treat. A buildup of toxins can lead to pain in your extremities and muscles. Massage can help aid your body in the removal of the toxins by aiding in carrying them to disposal sites in lymph. It also helps alleviate pain by stimulating the body to release endorphins. These endorphins increase the boosts that body’s ability to deal with pain and allow you to relax. Massage is well known as a trigger for relaxation and reduced stress. When your body is able to more efficiently get rid of poisons that build up in your system due to pollution, food, and medications, you are far more equipped to heal your body during rest periods. It also comes from a reduced production of the stress hormone cortisol. One of the most important functions of massage is its ability to promote flexibility in the body and the limbs. Ease of movement can help to protect you from all sorts of sprains and stress related injuries. It also helps to greatly reduce inflammation in joints and muscles. This means that it is good at treating ailments like arthritis, and tendinitis without using expensive medications to mask symptoms. When all of these different factors come together, your body will be able to reach its natural resting state in a much more natural way. When your body is more balanced, it’s easier to get restful sleep, breath more properly, and maintain a healthy heart rhythm. When most people think of massage, they think about nice calm relaxing times getting their muscles worked on, but they might not be considering another amazing perk to this very old art of care for the body. Massage also offers a variety of mental health benefits, which improve your general well-being. This article will be discussing just a few of the awesome mental health benefits of massage. A great massage is an amazing and effective way to reduce stress in your body. The hormone cortisol is produced when you experience stressful situations. Getting a massage helps combat this stress hormone and helps the body to heal itself more efficiently. As your body relaxes, proper breathing helps to sustain a healthy heart rhythm which increases health of the entire body. This leads to a better ability to fight anxiety and other emotional disturbances that can stem from physical disrepair. This aspect of emotional health is manifested when stress becomes too common to the body. The longer your body experiences stress increases the likelihood of your system becoming overwhelmed by negative emotions and stress chemicals. It will also sometimes escalate into what is known as a panic attack. A massage that targets all areas of the body can help to combat the cortisol, making it much easier to dissipate the feelings of anxiety. A mind that is more at ease, will function on a more efficient level. This fosters a mental environment where a person is likely to be more creative and expressive. Relaxation promotes focus. Partially, this also due to the mind far less clouding by negative feelings that breed self-doubt, insecurity, and other states of mind that lead to procrastination, stagnation, and lack of progress. Lack of stress and anxiety lead to a more productive mind. Sleep is the time for the body to rest. This could not be as easily achieved without relaxation. Stress inhibits many of the system that must remain in harmony and balance to reach a truly restful state of being. Sleep is also essential to mental well-being so lack of it could trap you into a vicious cycle where lack of sleep makes it more difficult to sleep and so forth. Be sure to relax the mind and body so that you can attain a restful state the promotes a healthy and balanced lifestyle. Have you ever wondered how a professional acupuncturist knows where they should put the needles? If you were to ask a trained practitioner, they would probably tell you that the needles are inserted into acupressure points on the body. This is done to agitate the point and produce an effect. This article will be sharing a few of the points used in acupuncture, and for the purpose of this article, they will be divided into groups based on the location. Jian Jing – This point is found by using your thumb and middle finger to pinch the shoulder muscle, and is most often used for facial pain, stress, headaches, toothaches and neck pain. It is not usually recommended that you use this technique on pregnant women, because it can start labor contractions prematurely. Feng Chi – A technique that has been associated with migraine relief, fatigue, certain types of blurry vision, neck pain, and stress. Some have even used this technique to aid with cold and flu symptoms. To locate Feng Chi, lock your hands behind your head with your thumbs pointed downward. Place both of your thumbs onto the base of your neck muscles and run your thumbs upward to the bone behind your ears. You should be able follow the groove that is created by the muscle. He Gu – This position is extremely effective for stress and facial pain. If you want to find this point, you will find it on the side of your hand in behind the knuckle, near the place where your thumb and index finger meet. Press into the muscle and massage for 4 – 5 seconds. Zu San Li – This spot is thought to help major organs like intestines, stomach, and liver. It is located on the outside of your lower leg, next to the top of your shin. Tai Chong – This is an excellent area to stimulate for stress, low back pain, high blood pressure, limb pain, insomnia and emotional upset. To locate this pressure point, use your thumb to place pressure in between the tendons that extend to your big toe and the second largest toe. San Yin Jiao – Generally used for pelvic disorders, insomnia, and menstrual cramps and can be found on the inside of your leg, just above your ankle. Find the highest point of the ankle then four finger widths up your leg, apply deep pressure slightly behind the bone. Acupuncture is a treatment that has been steadily gaining more respect and support in the last decade or two. 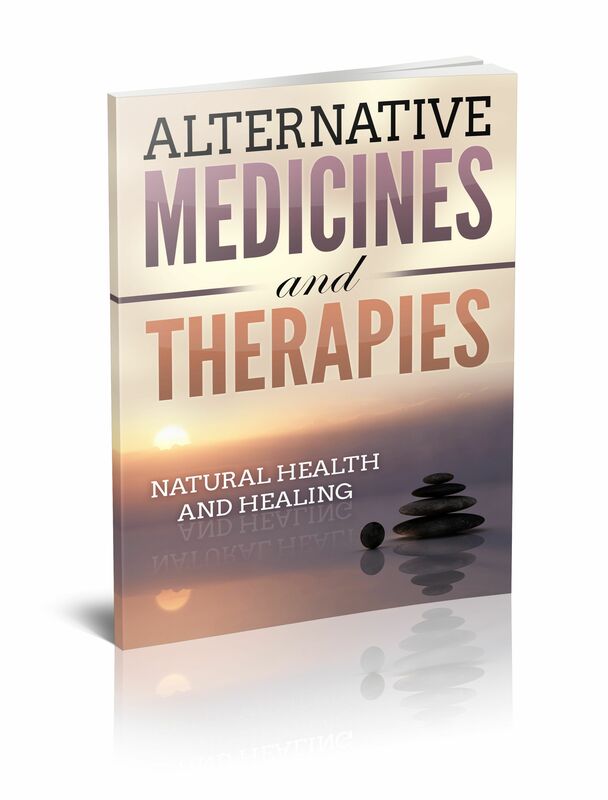 As people begin to turn away from the use of addicting pharmaceuticals, they’ve become more open to exploring the world of natural medicine. One of the positive things about achieving a balance with the old world and new world is that you can end up undergoing a series of changes that create a very different experience from the one that may be familiar to you now previously. One of the most common ways in which your body will change for the better is that you may experience a major decrease in the chronic pain that you may have one felt before. After you have seen a professional acupuncturist, it is possible that you might end up clearing blockage that caused you to experience the pain. deeper and more complete. Many people seeking their first treatment even fall asleep during the rest period before the needles are removed. A lot of the pain that people experience in the body comes from tense muscles that are constricted into themselves and other nearby muscle groups. After a few treatments have taught these muscles how to relax into their natural state, a person could notice some small changes to their muscle structure which could result in them standing straighter, and seeming to have grown an inch or two. With better rest, and a less tense daily posture, the physical manifestations of discomfort and anxiety will be very likely to have been reduced. The process of acupuncture can have a lasting effect on the way you carry your emotions and manifest them into your extremities. With so much of the dense, twisted muscle being free to finally open up and stretch out, you would notice an increased range of movement for a variety of muscle groups. Many of the knots and clustered muscles that can pinch nerves will be gone. This leads to increased flexibility, and a better quality of life that will sustain itself as long as you continue to maintain healthy practices.